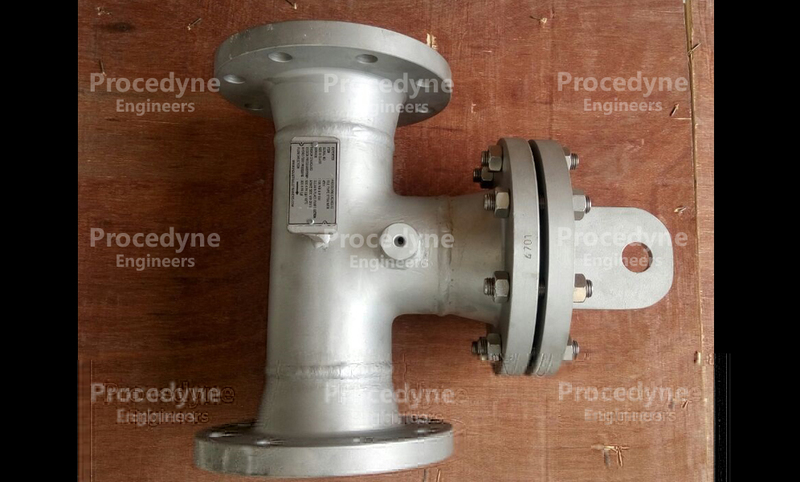 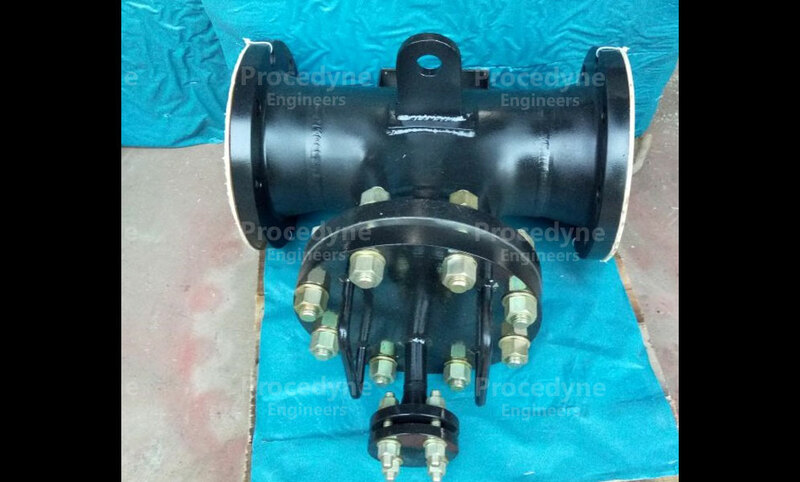 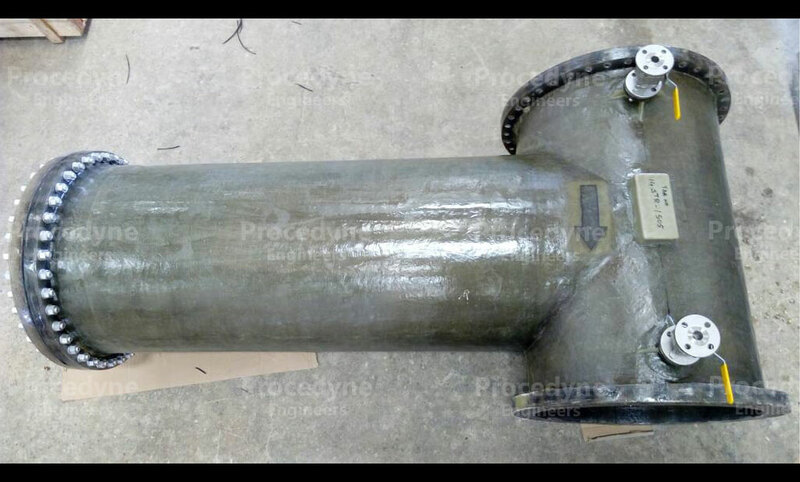 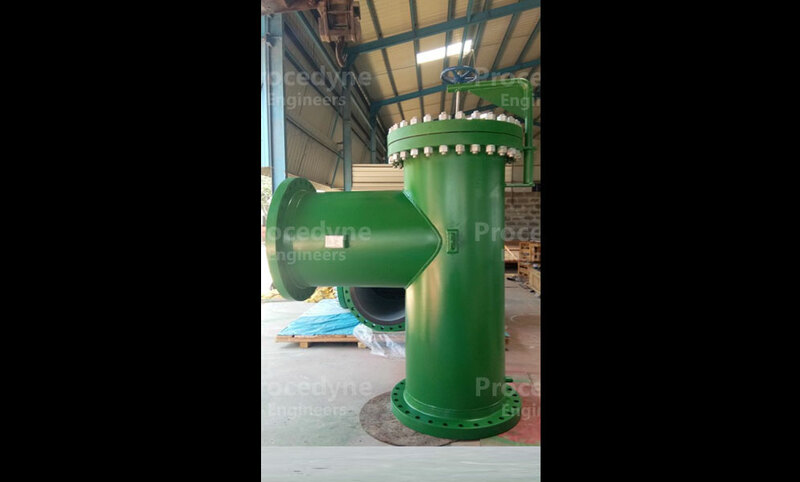 32" Tee Type Strainer 150# in Carbon Steel for Cooling Water Application for project in Malaysia. 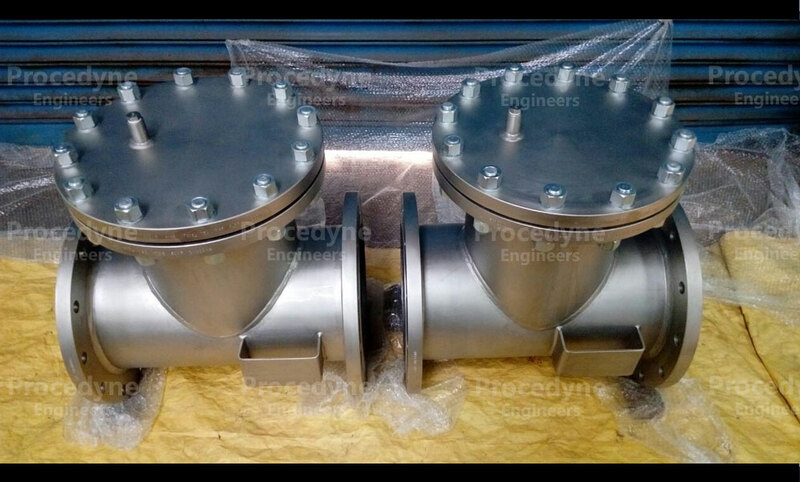 6" Tee Type Strainers 300# in Carbon Steel for LPG Loading Pump Application for LPG Blending Unit & Truck Loading Project in UAE. 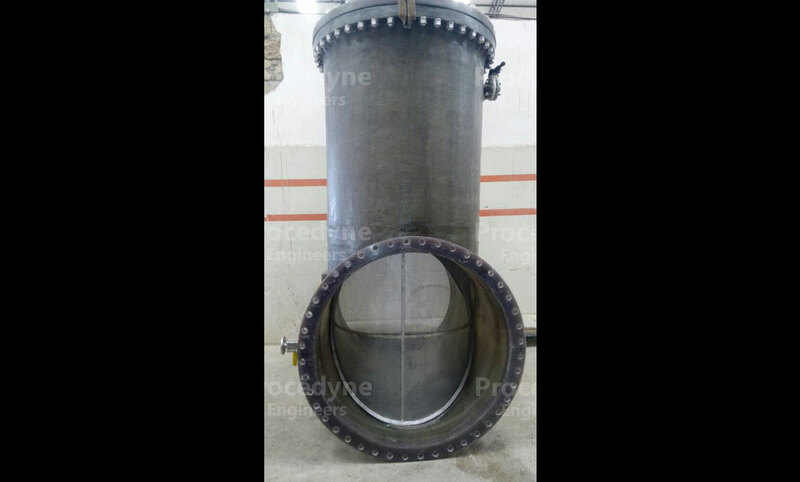 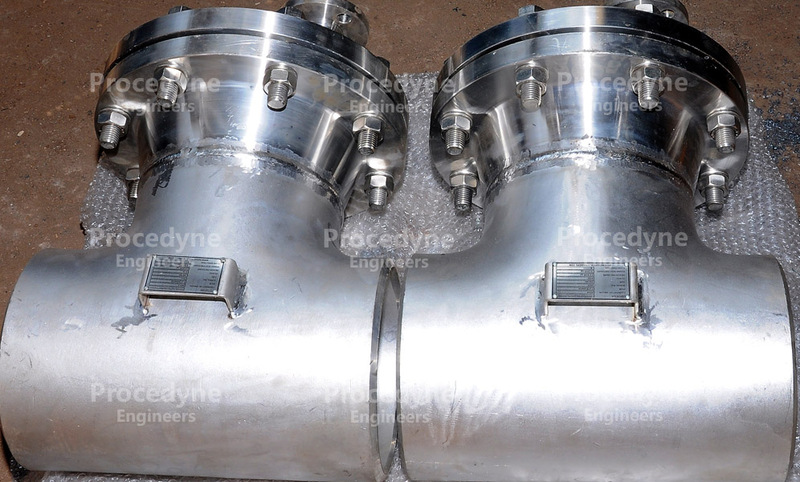 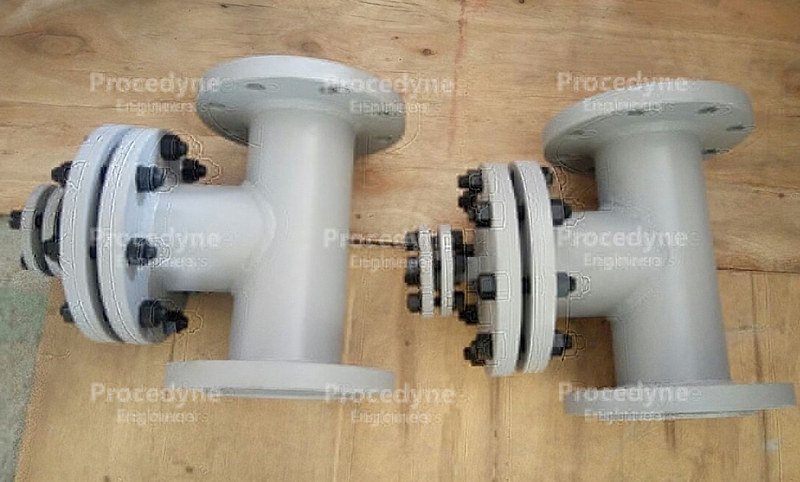 12" Tee Type Strainer 150# in Stainless Steel for Waste Water Recylcle & Reduction Project in Qatar. 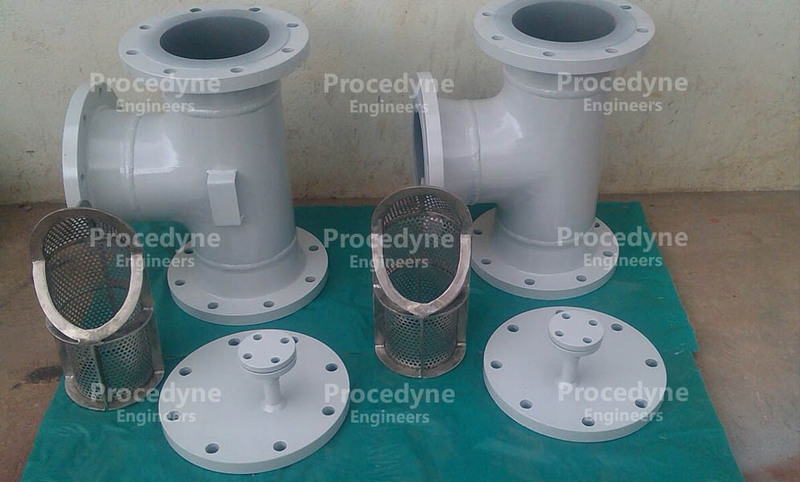 48" Tee Type Strainer 150# in GRP Construction for Sea Water AppRcatlon for Desalination Plant in Gujarat, India. 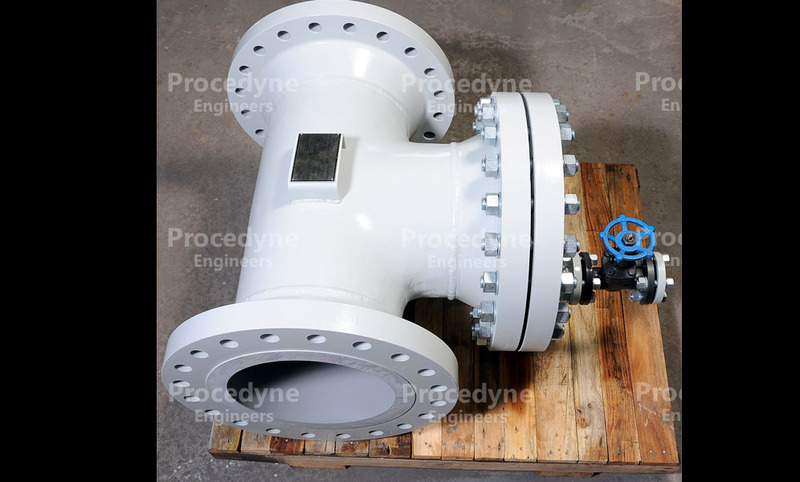 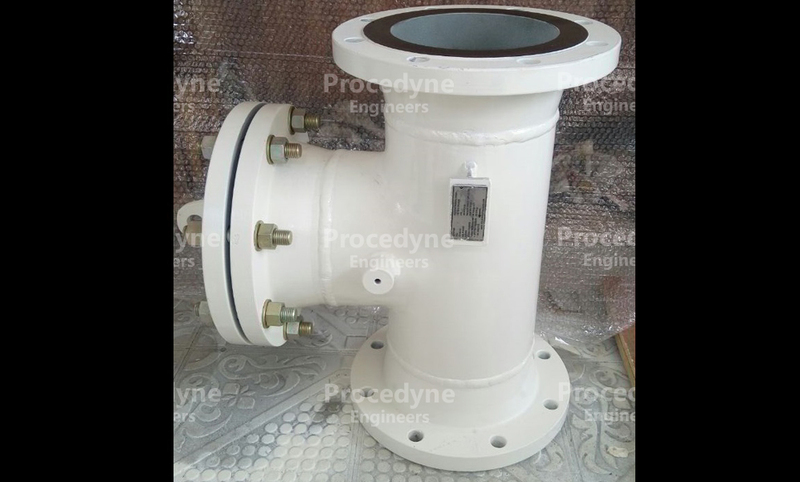 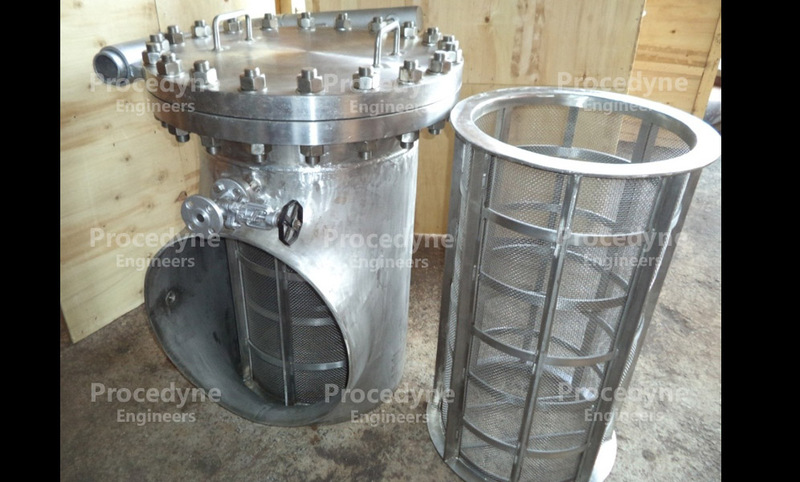 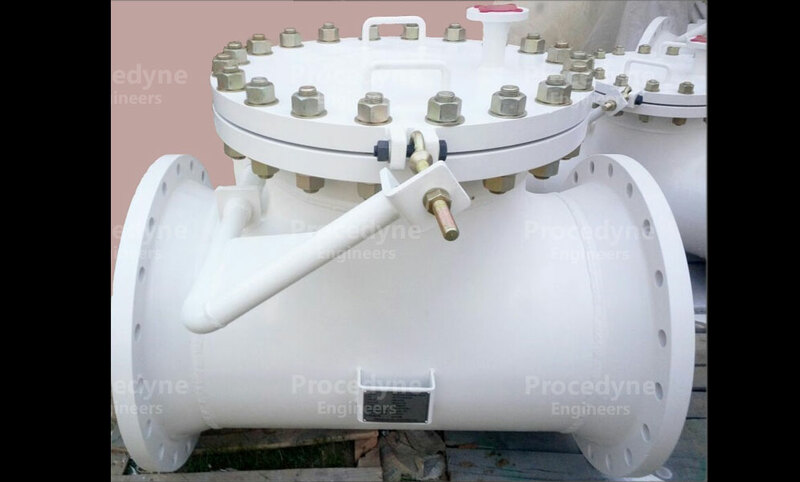 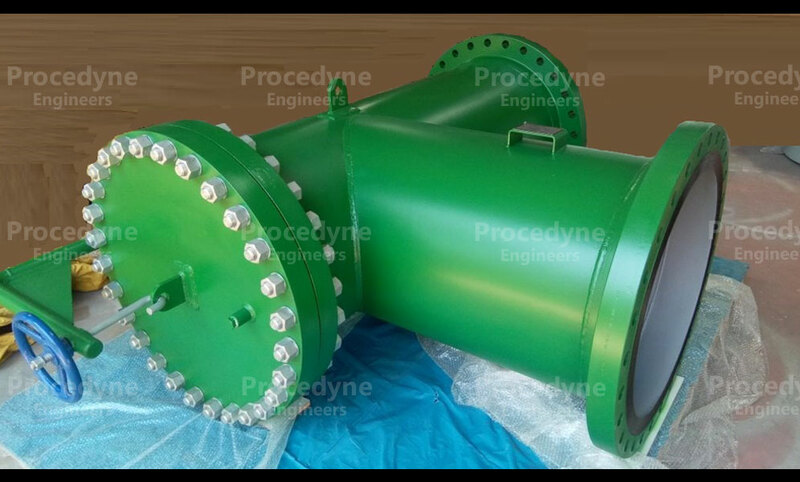 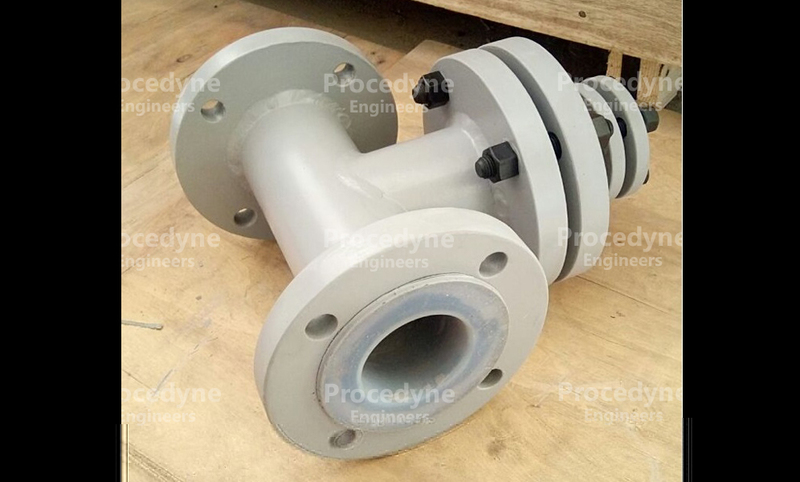 28" Tee Type Strainer 150# in GRP Construction for Sea Water Application for Desalination Plant in Gujarat, India. 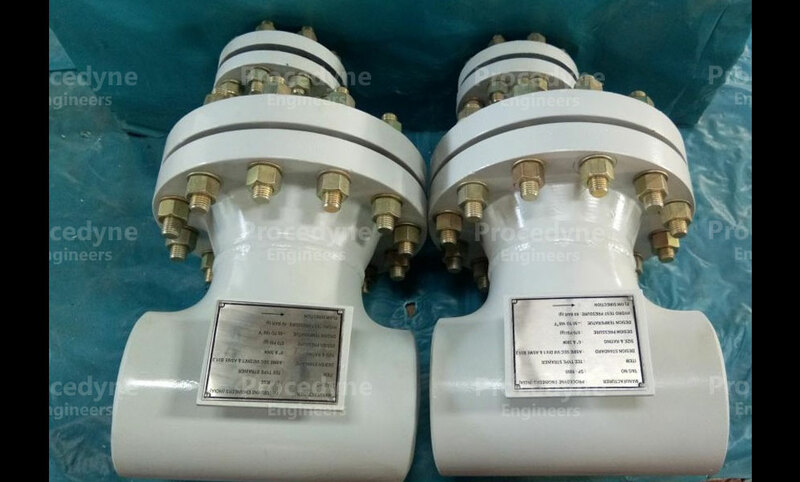 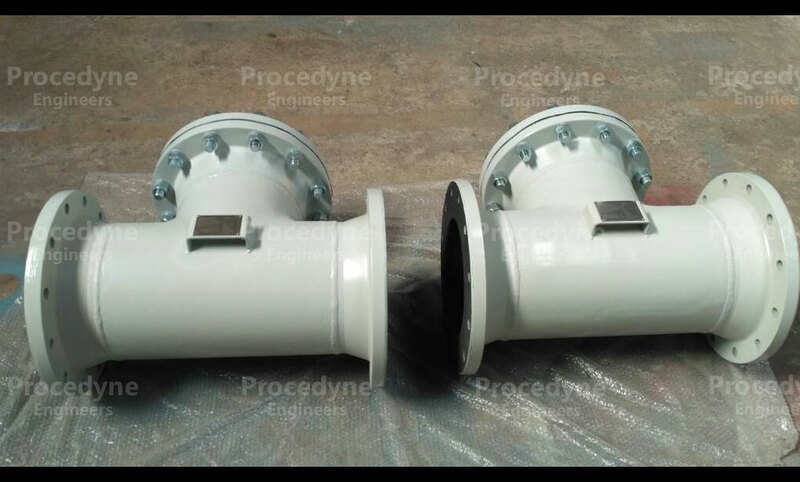 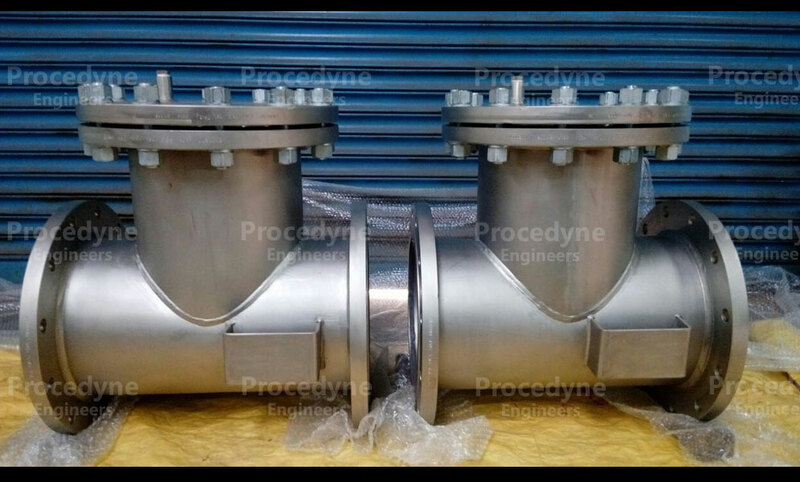 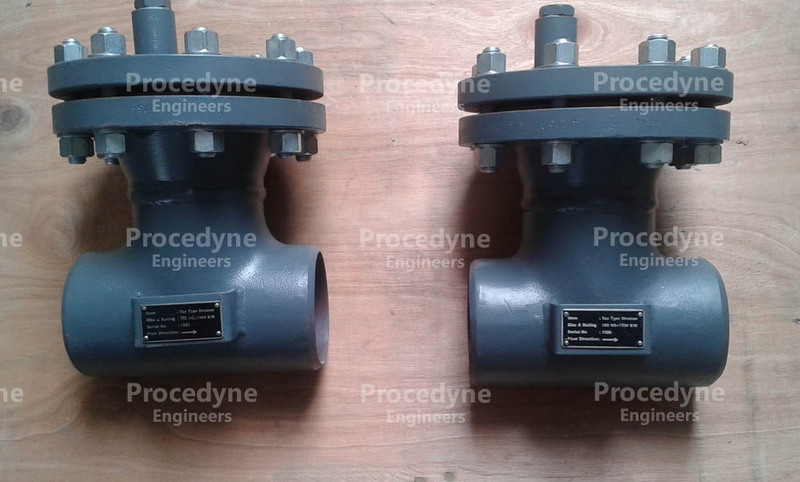 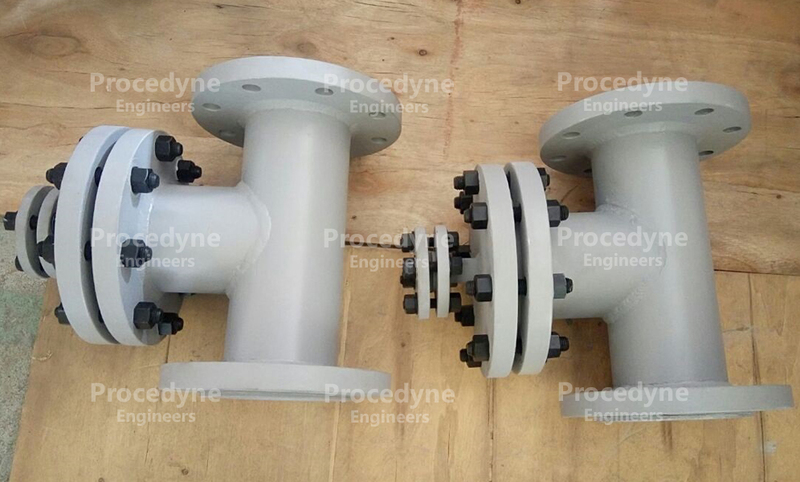 4" Tee Type Strainers 150# in Carbon Steel with Rubber Lined for Oily & Sea Water Application for Combined Cycle Project in Saudi Arabia.